One thing about this time of year that is important to me is saving money and watching what I eat. With Christmas coming I try to put away as much money as I can. I know you know what I am talking about. But what’s even more important is watching what I eat. 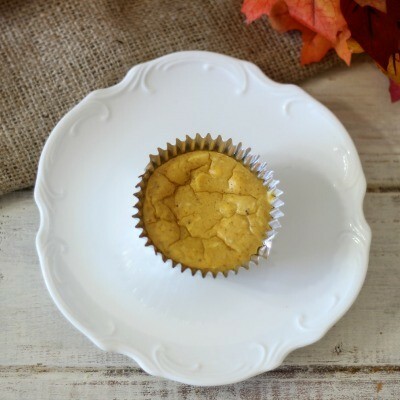 With all of the holiday parties, extra servings of stuffing at the Thanksgiving table and foodie gifts that your guest brings you, I thought today I would try to help out and share with you a budget and belly friendly recipe, Individual Pumpkin Cheesecake. This cheesecake turned out amazing! 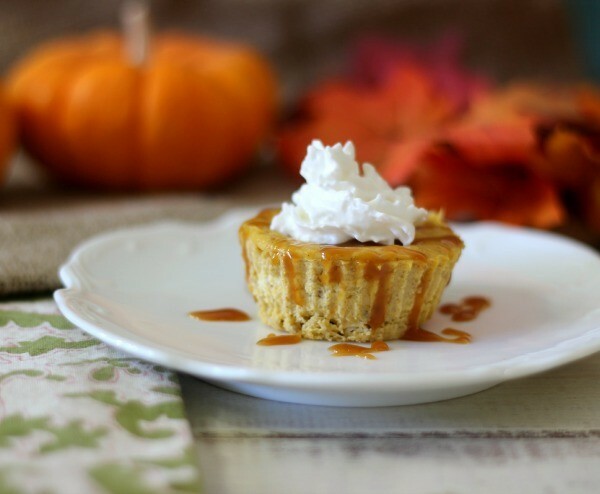 It’s light, creamy, perfect pumpkin flavor and with a drizzle of caramel and a dollop of whipped cream to give it an elegant look without breaking the bank. I went with individual cheesecakes because I think it is the perfect serving size for after your Thanksgiving dinner. You know how we all fill-up on turkey, mashed potatoes and stuffing. There is almost no room left for dessert and for me pumpkin cheesecake is the perfect dessert. Plus at only 105 calories, you can’t beat that! To save on money for making my cheesecake I shopped at my local Safeway. We have the most gorgeous Safeway ever. When it first opened up a couple of years ago I must have spent 2 hours shopping in it. As soon as I walk in, I grab my Starbucks, since they have one in the store, and then I run to the bakery because I can smell the fresh bread baking. Sigh… One of the best experiences ever. Anyway, I am getting off track here. So for saving money I bought Safeway brand ingredients. Safeway’s home brand is Lucerne. Plus to give my pumpkin the ultimate pumpkin flavor I actually made my own pumpkin puree. You don’t have to do this, but it really adds a true pumpkin flavor. I just roasted it in the oven until it is fork tender then I pureed it in my blender. 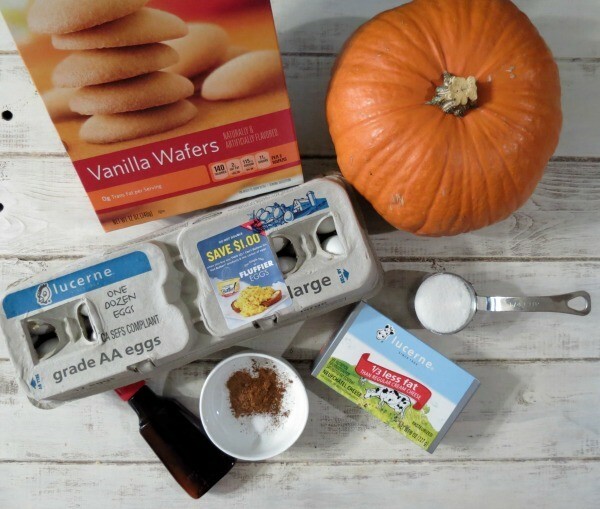 So easy and I have leftovers for some more great pumpkin recipes. I guess you can tell I kind of have a thing for pumpkin. To make the cheesecake I used 12 oz of Lucerne reduced fat cream cheese, two eggs, sugar, pumpkin, vanilla extract, seasonings and for the crust I used Safeway brand vanilla wafers. My whole grocery bill was $14.50, and I have enough ingredients to make a lot of other things. After all I bought a dozen of eggs and I only needed two in this recipe. Anyway, after I beat all of my ingredients together, I placed a vanilla wafer into a muffin cup and topped it with my batter. Baked it for 22 minutes and it was done. It does rise and then falls, and sinks just a little in the middle. That is why I added the caramel, because it holds in the center and makes for a great addition to the cheesecake. You can make these little cheesecakes a day in advance. So it’s perfect for after dinner dessert. Nothing worse than when you’re cooking all day and then you have to make dessert. Now you don’t have to. Make it a day ahead of time. 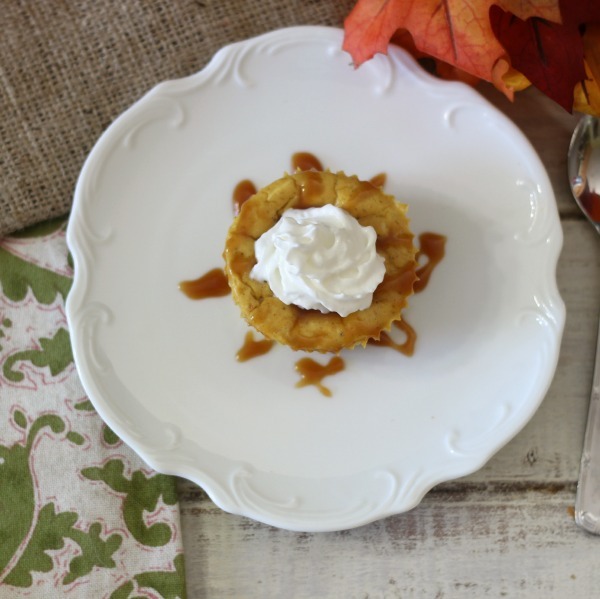 The only thing you need to do is warm some caramel, drizzle it on top and add your whipped cream. I think your guests will be pleasantly happy with their elegant little cheesecake. 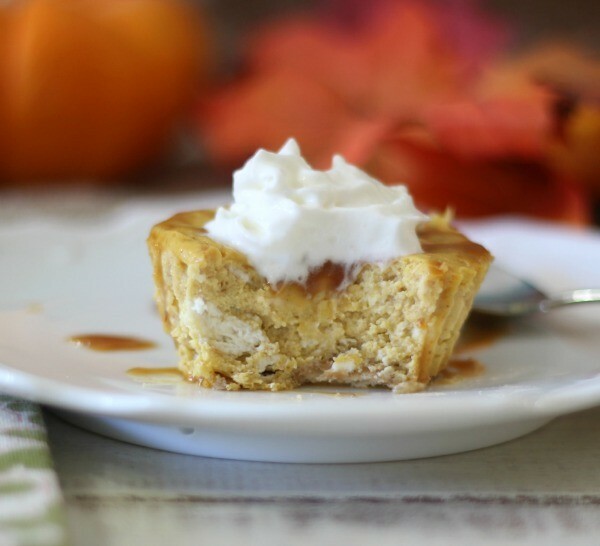 Simple, elegant individual pumpkin cheesecake that is drizzled with caramel sauce and whipped cream. Cut a hole in the center of the pumpkin to remove stem (discard the stem), then slice the pumpkin in half. Remove seeds and fiber. Place on baking sheet and bake in the oven for 30-45 minutes; until it is fork tender. Let the pumpkin cool and scoop out the flesh. Add to a blender or food processor and process until creamy smooth. Refrigerate until ready to use. Line a standard muffin tin with 12 muffin foil liners and lightly spray with cooking spray. In a medium bowl add cream cheese and sugar and beat until creamy. Add vanilla extract, eggs and salt beat until combined. Beat in pumpkin, cinnamon, nutmeg and cloves. 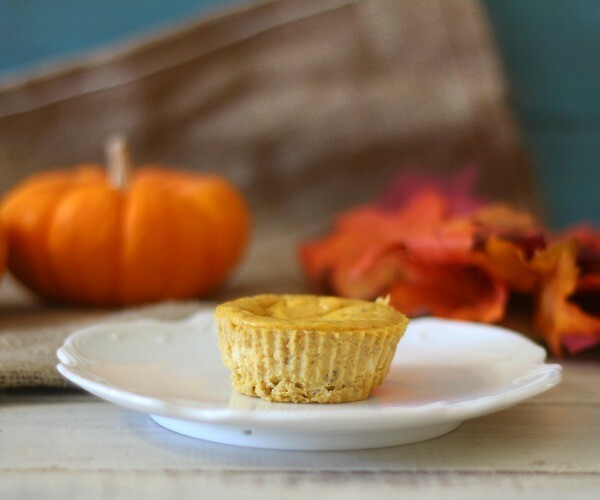 Place a vanilla wafer in the bottom of each muffin liner and top with cheesecake batter. Spoon batter evenly among the muffin cups. Bake, rotating pans halfway through, until filling is set, 22-24 minutes. Let cool on a wire rack. Chill in the refrigerator for at least 4 hours, or up to overnight, before serving. There will be leftover pumpkin puree. Just refrigerate the leftovers for another use. These look so yummy and easy. I’m planning on using canned pumpkin in place of the sugar pumpkin puree. How much pumpkin puree would I need? Yum. These are the perfect little treasures. Portion control with all my favorite flavors. Make me a batch. Fabulous idea to ensure you don’t over indulge! YUM! These look great! I can’t wait to try them. Also, I LOVE the new print format! Thanks so much.